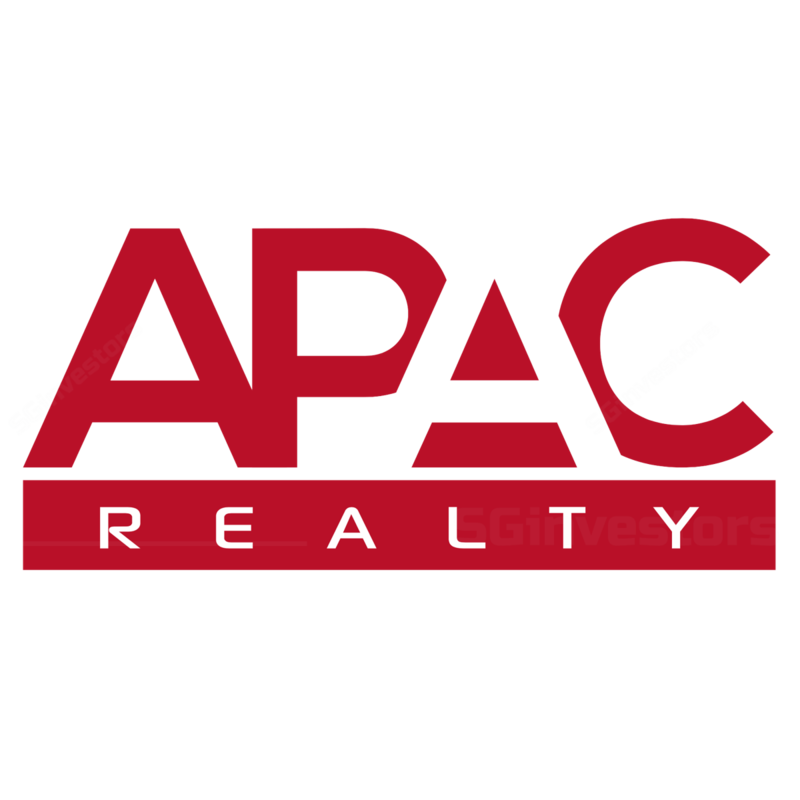 APAC Realty - Leading real estate brokerage in Singapore with regional ambitions. Pure play to leverage into the potential upturn in Singapore property market in coming years. Experienced management team; 50% dividend payout till end FY2018F. Initiating coverage with BUY recommendation and TP of S$1.03. One of the largest real estate agencies in Singapore. ERA Realty, a wholly-owned subsidiary of APAC Realty, is one of Singapore’s largest real estate agencies with approximately 6,176 registered agents, as at 10 July 2017. Sizeable scale and leading market share a winning formula in our view. Having a sizeable agent base is important for ERA to perform well as it enables the agency to have a strong and wider reach to a diverse base of potential property buyers, renters and allows the group to capture a lion’s share of market transactions in Singapore. In 2016, ERA’s market share was approximately 38% in terms of transaction value in the Singapore residential market, up from approximately 32% in 2015 and 29% in 2014. Riding on the property upcycle. APAC Realty offers a pure-play exposure to the recovering Singapore property market. We believe that the Singapore property market is entering the end of a period of over-supply amid a stable operating environment. We are expecting transaction values to hit S$36.0b (+25% y-o-y) in FY2017, S$37.7b in FY2018 (+5% y-o-y) and S$39.6b in FY2019 (+5% y-o-y) for the private residential market, including both primary and secondary markets. We see multiple catalysts for residential prices to head higher in the next two years. Our TP is S$1.03, which is based on the average of discounted cash flow (DCF) valuation (8.5% weighted average cost of capital, 0% terminal growth assumption), and PE valuation that is pegged to the peers’ historical average of 15x FY18F earnings. ERA Realty Network Pte Ltd (ERA Realty), a wholly-owned subsidiary of APAC Realty Limited (APAC), is one of Singapore’s largest real estate agencies with approximately 6,176 agents registered with the industry’s regulator, the Council for Estate Agencies (CEA), as at 10 July 2017. APAC believes ERA Realty is the industry pioneer with a track record of 35 years of growth, innovative contributions and service excellence in Singapore. Sizeable scale with leading market share a winning formula. In our view, having a sizeable agent base is important for ERA to perform well as it enables the agency to have a strong and wide reach to a diverse base of potential property buyers, renters and allows the group to capture a lion’s share of market transactions (primary, secondary and rental) in Singapore. In 2016, ERA’s market share was approximately 38% in terms of transaction value for the Singapore residential market, up from approximately 32% in 2015 and 29% in 2014. One of the market leaders in project marketing. Given its track record and large agency base, we believe ERA offers developers a wide potential buyer base which attracts developers to want to partner them in new project launches. As such, ERA has established itself as one of the market leaders in project marketing, alongside Huttons, whose strength is in mass market projects, and Savills and Knight Frank, who are strong in luxury developments. In terms of project launches, ERA secured 12 projects out of 19 (47%) in 2015; 14 out of 23 (66%) in 2016 and 8 projects or 91% for projects launched in January to July this year. In our view, APAC Realty offers a pure-play exposure to the recovering Singapore market. DBS Group Research believes that the Singapore property market is entering the end of a period of over-supply amid a stable operating environment. 1H17 transaction sales for the private residential market posted a strong 47% rebound to S$15bn, after a gradual increase in the last two years. We are expecting transaction values to hit S$36.0b (+25% y-o-y) in FY2017, S$37.7b in FY2018 (+5% y-o-y) and S$39.6b in FY2019 (+5% y-o-y), for the private residential market, including both primary and secondary markets. Low unsold inventories. Unsold inventories are at a 16- year low at 29k units as of 1Q2017, following the supply restrictions in the past two years. High resident home ownership rate in Singapore. Singapore has one of the highest resident home ownership rates in the world, at above 90%. The sustainability of this trend is driven by younger families’ aspiration to own their own homes while the mature families tend to go for investment properties. Increasing demand from foreigners. Foreign buying volumes in 1H17 rose 49% y-o-y (largely in the secondary market; 1H2017 primary market: +69% y-o-y). The proportion of foreign buying remains low at 6%, below the historical average of 9%. The historical peak was 19% in 2011 when foreign buying volumes peaked at 5.7k units. Franchising allows the group to build regional presence in a cost-efficient way. APAC acquired the exclusive ERA regional master franchise rights for certain countries in the Asia Pacific region, including Australia, Brunei, Cambodia, China (including Hong Kong and Macau), Indonesia, Japan, Laos, Malaysia, Myanmar, New Zealand, Korea, the Philippines, Papua New Guinea, Singapore, Taiwan, Thailand, and Vietnam, from Realogy in 1999. APAC now has one of the largest brand footprints in Asia-Pacific with more than 15,300 agents in 660 offices across 8 countries through its ERA franchisees. The franchise model arms the group with the ability to build its regional presence and network in a capital-efficient manner. It also allows greater cross-selling opportunities with its overseas franchisees. Proportional contribution from three segments. ERA’s brokerage transaction value is derived from three main segments in roughly equal proportions in 2016 – private primary residential (29%), private secondary residential (32%), and leasing and HDB resale (32%). The balance is from commercial resale and leasing (7%). The diversified nature minimises any adverse impact from a particular property segment. No seasonal effect for new launches; 2H is typically stronger for resale and rental. Brokerage income for rental and resale transactions is typically stronger in the last two quarters of the year. The lower brokerage income in the first two quarters of the year can be attributable to the year-end and Chinese New Year festive season, and the time lag required for the completion of the transactions. New launches generally do not have seasonality effect. We use a combination of two valuation methodologies - the P/E multiple (peer comparison) and the DCF methodology - to value APAC. We derive our TP of S$1.03, based on the average valuations using 15x FY18F and DCF (S$1.04). Our PE component of 15x target is pegged to the selected peers’ historical average, while our DCF component assumes WACC of 8.5% and 0% terminal growth. There are a number of globally-listed real estate brokerages. Though not all have similar business models or operate in similar geographical areas, and are at different property cycles, we believe that these comparables provide us a good representation of a fair valuation for APAC. We have chosen peers that derive a substantial portion of their income through residential / commercial brokers, which offer some similarities to APAC. Some of the notable peers include Jones Lang Lasalle Inc, Realogy Holdings Group, Sinyi Realty Co, Century 21 Real Estate-Japan, among others. Based on our peer group review, we have divided them out into 2 distinct groups – the large to mid-caps which have a global franchise, and a selected group of closer peers which derive a substantial portion of their revenues from residential broking. The large-to-mid cap peers are trading at a trailing-twelvemonths (TTM) mean P/E of 22.7x which is close to its average historical mean of 24.8x. On a forward basis, this group is trading at a forward P/E of 13.0x-32.5x (average of 18.2x and median of 15.8x). The large-to-mid cap peers are trading at a premium to the second group i.e. a selected group of closer peers which operate a residential brokerage business model. We believe that the reason for this could be due to the diversified earnings profile in different business segments coupled with multi-geographical exposure. We however note that this large-to-mid-cap group of companies currently trade at 20% discount to their historical averages of 24.8x. Our selected peer group, which derive a substantial contribution from residential broking, trade at a mean TTM P/E of 12.4x and a 1-year forward P/E of 7.5x-25.2x (mean of 12.3x). We note that this peer group is trading at about 10% below its historical mean of 15.0x. As such, given expectations of a recovery in the Singapore property market, we believe that a fair P/E multiple for APAC will be 15.0x on par with the selected peer historical average. Led by experienced management team. The Board consists of six members, of which half are independent directors. Half of the Directors are non-executive and independent of the management, which should enable the Board to interact and work with management through an open exchange of ideas and sharing of diverse views to help the strategic process. Two of the non-executive nonindependent directors are from Northstar Advisors Pte Ltd. Deepen presence in Singapore with centralised business centre. APAC intends to deepen its presence in Singapore to further benefit from the expected recovery of the Singapore residential property market through establishing a centralised business centre. The new business centre will serve as a hub for its agents to interact, exchange ideas, attend training and easily access senior management, resulting in greater synergies and more efficient knowledge sharing. APAC could also lease part of the business centre as private office space to its agents, providing a stream of recurring income. Develop new technological capabilities to drive operational efficiencies. APAC currently offers various tools such as mobile applications (i-ERA, ERA SG Projects), website (ERA.com.sg), customer relationship and management system (ERA 24/7 PropWatch), and internal portals (MyERA) which it has developed for its agents and customers and to facilitate the execution of real estate transactions. APAC intends to continue developing its technological capabilities, create and/or acquire new tools to enhance its business efficiency and offer better levels of services to its customers. One of the largest real estate agencies in Singapore. ERA Realty is one of Singapore’s largest real estate agencies with approximately 6,176 agents registered with the industry’s regulator, the CEA, as at 10 July 2017. APAC believes ERA Realty is the industry pioneer with a track record of 35 years of growth, innovative contributions and service excellence in Singapore. Market share in terms of volume expanded from 16% in 2011 to 41% in 2016 led by network expansion over the past 6 years. Market share based on value increased from 15% in 2011 to 43% in 2016. ERA has established itself as one of the market leaders in project marketing, alongside Huttons whose strength is in mass market projects, and Savills and Knight Frank who are both strong in luxury developments. In terms of project launches, ERA secured 12 projects out of 19 (47%) in 2015; 14 out of 23 (66%) in 2016 and 8 projects or 91% for projects launched in January to July this year. Franchise arrangements allows the group to build on its regional presence in a cost-efficient way. APAC acquired the exclusive ERA regional master franchise rights for 17 countries in the Asia Pacific region from Realogy in 1999. APAC is now one of the largest brand with footprints in Asia with more than 15,300 agents in 660 offices across 8 countries (Japan, Korea, Taiwan, Thailand, Malaysia, Vietnam, Indonesia, and Singapore) through its ERA franchisees. The franchise model provides the group with the ability to build its regional presence and network in a capital-efficient manner. It also allows greater cross-selling opportunities with its overseas franchisees, and to leverage on the ERA system to offer a full range of products and services. Proportional contribution from three segments is roughly equal. ERA’s brokerage transaction value is derived from three main segments in roughly equal proportions in 2016 – private primary residential (29%), private secondary residential (32%) and leasing and HDB resale (32%). The balance is from commercial resale and leasing (7%). The diversified nature minimises any adverse impact from a particular property segment. Profitable even during market trough. Though the property market is cyclical in nature, APAC was still able to remain profitable in the past 10 years, despite the Global Financial Crisis (GFC) in 2008-2009. Minimal seasonal effect. There is no seasonal effect for new launches; though resale and rental markets are typically stronger in 2H. New launches generally do not exhibit any seasonality effect. The brokerage income for rental and resale transactions is typically stronger in the last two quarters of the year. The lower brokerage income in the first two quarters of the year can be attributable to the year-end and Chinese New Year festive season and the time lag required to complete the transactions. Increasing property sales volumes, values, and rental transactions. Increasing primary and secondary residential property sales volumes, values, and rental transactions will add to APAC’s earnings (assuming market share remains constant) from commissions derived from such transactions. For instance, APAC has been growing its project marketing segment and has secured project marketing agent roles in eight projects in 2017. The pipeline of new condominium launches arising from various government land sales and enbloc deals could continue to drive APAC’s project sales should APAC be appointed as the marketing agent. According to Cushman & Wakefield, the increasingly bullish bids by developers in recent land tenders may be a testament that home prices will increase when these projects reach the market. APAC may also explore opportunities to increase its network of agents in Singapore through recruiting and/or acquiring individual agents or networks of agents, which the management believes will help drive the group’s topline, as agents are the channels through which sales are completed. There are also possibilities of acquiring sub franchises within the Asia-Pacific region. Expand range of real estate-related services. The brokerage business contributed 79.8% of gross profit in 1Q2017, while training, valuation and property management business contributed 2.3%, 2.5% and 2.3% respectively. In addition, as the residential real estate brokerage business is cyclical in nature, increasing exposure to other sources of income such as commercial and industrial leasing and purchasing, auction, research and facilities management would lead to greater stability in the group’s cash flows and improved profitability. Growing geographical footprint in the Asia Pacific region. APAC intends to expand and deepen its presence in key markets in the Asia Pacific region either by setting up a brokerage office, entering into a sub-franchise arrangement with a local operator or acquiring an existing network of agents. This would allow the group to grow an additional source of income, create synergies with the Singapore operations and diversify its exposure to the Singapore residential property market, which currently contributes 99% of the group’s revenue and profit. One potential opportunity is to grow its footprint in China where it currently has limited presence. According to Cushman & Wakefield, the housing market in China experienced rapid growth in 2016 with average prices of new developments across the 70 major cities in China growing 12.4% year-on-year in 2016, particularly in first-tier cities such as Shanghai, Shenzhen and Beijing. Dependent on Singapore’s residential property market and macroeconomic conditions. The residential property market accounted for 97% of the group’s total income in 1Q2017. If the Singapore economy, or parts of it, stagnates or contracts, average property prices and volume of activity in the Singapore residential property market could decrease, thereby impacting the group’s business. Significant increases in interest rates would also generally decrease the number of home sales. Any change in government policies might affect the property market, which will in turn affect APAC. For example, residential transaction volumes and values suffered a sharp decline in 2014 due to the cumulative effective of varies measures introduced by the government, including a series of cooling measures, as well as implementation of the Total Debt Servicing Ratio (TDSR) framework in mid-2013, which limits the monthly repayment of a buyer’s debts to 60% of income. Back in 2014, transaction volume for both primary and secondary private residential market declined by close to 50% to 13,981 units. Subsequently, in March 2017, the government eased the property cooling measures by shortening the Seller’s Stamp Duty (SSD) from four years to three years with reduced rates, which Cushman & Wakefield believes has instilled greater confidence in investors since. The real estate brokerage industry is highly competitive and there is substantial competition for high-performing agents in the industry. Loss of high-performing agents can potentially affect the group’s business, financial position, and operations. APAC’s management team has a combined average experience of 18 years with the group. Loss of any key management team member may have interim impact on the group’s operations. However, according to the management, the group has various programs to train and nurture individuals across the various corporate levels. Rapid changes in technology and customer preferences. Competition from technology disruption and more widespread adoption of websites that facilitate private sales could lead to more Do-It-Yourself transactions that may not require the assistance of agents. According to numbers provided by HDB, the proportion of resale flat buyers and sellers who have engaged in DIY transactions rose to 24% in 2016, from 11% in 2010. However, the group believes that number of sales of residential property in Singapore made without the involvement of an estate agent is currently not substantial and limited mostly to resale of HDB units. While the group has plans to expand its range of services and geographical presence outside of Singapore, within the Asia-Pacific region, there may be execution risk, i.e. the group may be unable to identify and complete attractive acquisition targets, or successfully replicate its business model in other geographic markets. Highly dependent on the strength of and availability of ERA brand. Firstly, the group is dependent on the strength of the ERA brand and the reputation and goodwill behind the brand, which may be affected by litigation, agent and employee misconduct and negative publicity amongst other factors. Secondly, there are restrictive provisions for franchise agreements. The Regional MFA has an initial term of 30 years, which expires in 2029. Similarly, for the Coldwell Banker franchise rights, it has an initial term of 30 years which expires in 2028. While the option to renew the Regional MFA upon the same terms and conditions (except that payment of the initial franchise fee does not apply) for additional 30-year terms is available, there must be timely notice of the intent to renew and no material default of any of the provisions of the Regional MFA. The Regional MFA may be terminated by either party upon a material and unsecured breach by the other party of a material provision of the Regional MFA or of any other agreement or document entered into or delivered pursuant to the Regional MFA. The prior written consent of Realogy (such consent not to be unreasonably withheld or delayed) is required for an assignment by the group of the agreement or any of its rights, privileges, duties or obligations thereunder or in the event APRH's ownership of the Shares, PGA Realty Partners Ltd’s ownership of the Class A voting shares of Asia Pacific Realty Holdings Ltd or Mr. Tan Choon Hong’s ownership of the shares in PGA Realty is diluted to below 51.0%, subject to exceptions. Non-compete restriction under the Singapore MFA also applies to the group and ERA Singapore for two years after the Singapore MFA is terminated under certain circumstances. Transaction value for the residential market to grow 20% in FY2017F and 4.6% in FY2018F and FY2019F. We are expecting transaction value to hit S$36.0b (+25% y-o-y) for FY2017F and S$37.7b for FY2018F (+5% y-o-y) and S$39.6b for FY2019F (+5% y-o-y) for the total private residential market, including both primary and secondary markets. We see multiple catalysts for residential prices to head higher in the next two years. Prices in the residential market could rise by 6% to 10% by 2019. The rise in prices in the HDB resale segment is lower, at 10% and 4% for FY2017F and FY2018F respectively. Overall, for the whole residential market, including HDB segment, we expect transaction value to grow 20% in FY2017F and 4.6% p.a. in FY2018F and FY2019F. Earnings for APAC are highly dependent on the transaction activities in the property market. Another 5% increase in transaction value for the whole market could lead to a 3% increase in net earnings for FY2017F and 11% for FY2018F and 18% for FY19F, from our earnings estimate of S$21.3m for FY17F, S$24.3m for FY18F and S$25.9m for FY19F. Earnings growth on potential upturn in property market. We project net profit to grow by a strong 34% in FY2017F and 14% in FY2018F, followed by another 7% in FY2019F, after 87% rise in FY2016 on the back of a strong pick up in transaction value in 2H2016. DBS Group Research believes that the Singapore property market is entering the end of a period of over-supply amid a stable operating environment. 1H2017 transaction sales for the private residential market posted a strong 47% rebound to S$15bn, after a gradual increase in the last two years. Margins improvement on operational efficiencies. APAC Realty currently offers various tools such as mobile applications for its agents and customers to facilitate the execution of real estate transactions. It intends to continue to develop its technological capabilities and this should drive efficiencies and lead to better margins. We are expecting gross margins to improve from 13.9% in FY16 to 14.1% in FY2017F and 14.4% in FY2018F. Intangibles, include goodwill and franchise rights, account for the bulk of total assets. Goodwill amounted to S$75.6m as December 2016, derived from ERA Realty Network Pte Ltd, ERA Singapore Pte Ltd, Realty International Associates Pte Ltd and Coldwell Banker Real Estate (S) Pte Ltd. Franchise rights are held for the exclusive right of use of the brand names “ERA” and “Coldwell Banker”. The group acquired the exclusive ERA Regional master franchise rights for certain countries in the Asia-Pacific region for an initial term of 30 years from 19 November 1999, expiring in 2029, with option for renewal for another 30 years. The group also holds the ERA sub-franchise rights in Singapore for an initial term of 30 years from 28 June 1990, which expires in 2020, also with option for renewal for another 30 years. Cashflow turned positive in FY16. The improvement in activities in 2H16 led to APAC returning to a cashflow positive position. Going forward, we expect the group to remain cashflow positive, barring any major capital expenditure.